See another side of Bangkok with a memorable cruise tour. 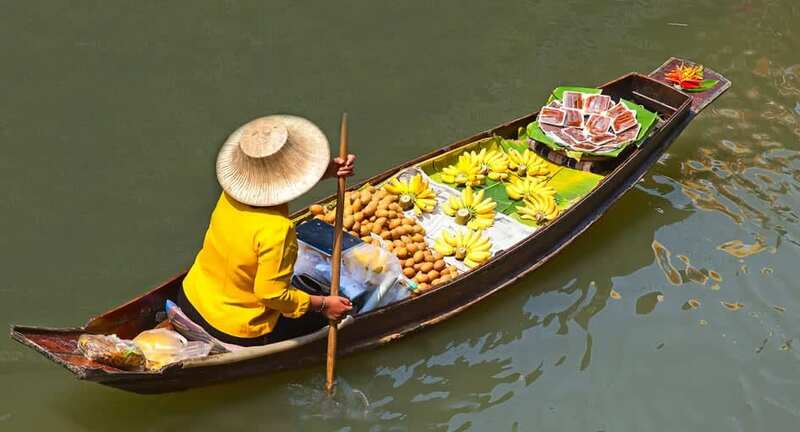 Embark on a Manohra Bangkok Cruise Tour and experience an alternate world as you cruise down the river and glimpse a life aquatic. Watch children play in the water at dusk, locals sitting at house terraces enjoying the evening breezes, and farmers paddling their wooden boats loaded with agricultural produce for sale. Spot ancient temples, bustling floating markets and hear Thai folk music echo across the water from a nearby festival.